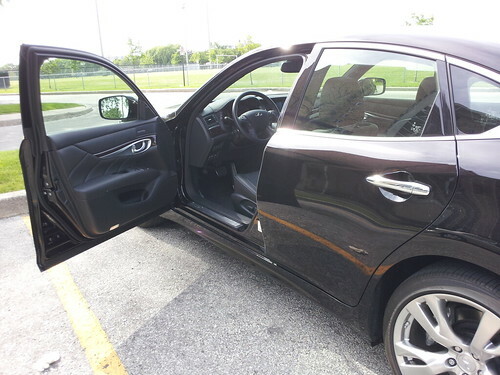 I paid a visit yesterday to Infiniti Canada's head office where I received a thorough demo of a 2013 Infiniti M37xS. They also lent me one for a week so I could see for myself what this luxury automobile can do. 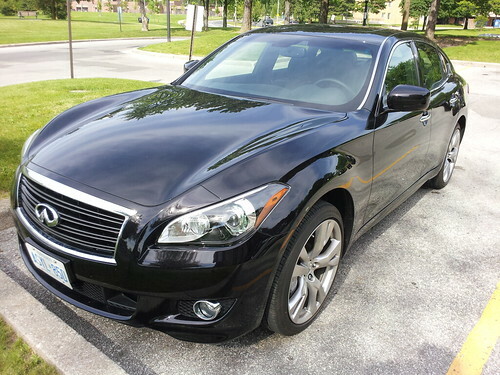 It may surprise you to learn that I don't often drive luxury cars like the Infiniti M37xS. This model competes directly with the BMW 5 Series. It's way out of my price range, but you can feel that with every kilometre you drive. It's stylish, comfortable and fully loaded with a 3.7L, 24-valve, DOHC V6. 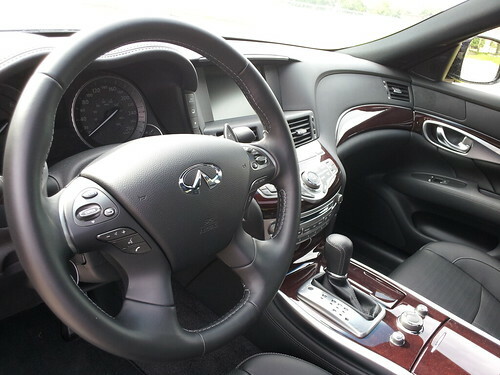 I'm only on day two of driving the 2013 Infiniti M37xS and so far it's feeling like more of a sports car than a 4-door sedan, and that's a good thing. Nice car, Mike. I drove the rear wheel drive M37s for a couple of days. Personally, I prefer race/rally/performance all-wheel drive systems like Audi, Mitsubishi and Subaru have. If the AWD system is not meant for/can be used on a track, I'm not interested. You have a fun car for a week, though. Enjoy! Is it just me, or has this blog just turned into one big car advertisement lately? To paraphrase from Seinfeld's Kramer character, "Infiniti now, (infiniti now.)" Admittedly, it's a crazy month for cars... things will fall back to normal soon. With the sunroof open the the tunes blaring, I had a lot of fun with this car this afternoon.